Rely on Valpak of Fargo/Moorhead to deliver your business message into thousands of qualified households and help you meet your small business advertising goals. Valpak has been a direct mail advertising leader for 50 years. Advertise in The Blue Envelope® to select households by ZIP code in the printed format of your choice: single or multipanel coupons, cardstock, unique imprinting and more. Valpak’s digital marketing options help you reach more online consumers wherever they are. Turn to our Fargo/Moorhead Valpak team for your digital business presence. Let us create an affordable business website and optimize it for search engine visibility or establish a business profile page directly on the Valpak consumer site. Identify your campaigns’ strength and track ROI with more accuracy by using Valpak of Fargo/Moorhead’s advanced tracking tools. Choose our proprietary performance dashboard for up-to-date consumer activity or standard call tracking. These tools offer the proof of performance needed to track your advertising spend and increase your ROI. Fine-tune your messaging, targeting and ROI with Valpak and reach as many as 50,000 qualified households in Fargo, West Fargo and Horace, North Dakota, Moorhead, Hawley and Dilworth, Minnesota and other cities in the region. For specific dates and coverage, contact your Valpak of Fargo/Moorhead representative. 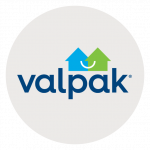 Valpak of Fargo/Moorhead is an independently owned Valpak franchise.